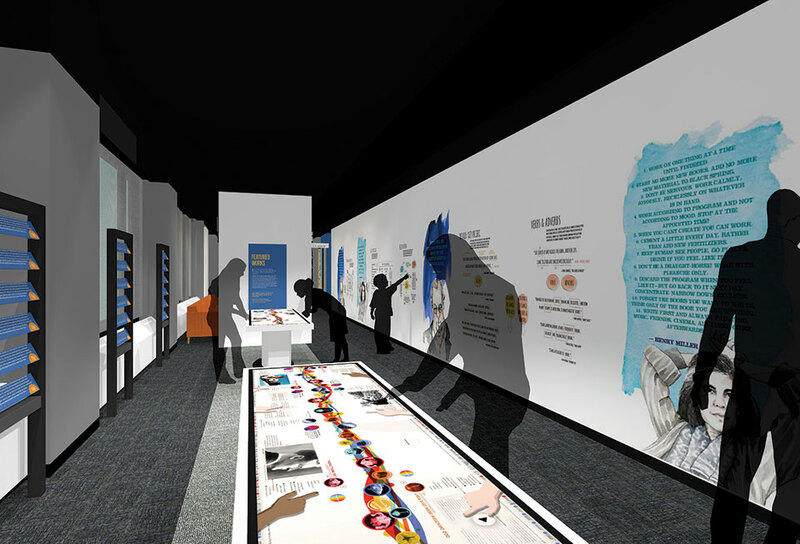 The new American Writers Museum, opening this May in Chicago, celebrates American literature in a lively, interactive space that honors America’s writers past and present. Located on the second floor of a grand old building on Michigan Avenue’s “Cultural Corridor,” the American Writers Museum is the realization of a seven-year journey that began with a question: Why was there no national museum in the US honoring writers? Malcolm O’Hagan, a dedicated reader and retired engineer and businessman, had visited the Dublin Writers Museum in his native Ireland and began to talk with friends and professionals about developing an American museum. 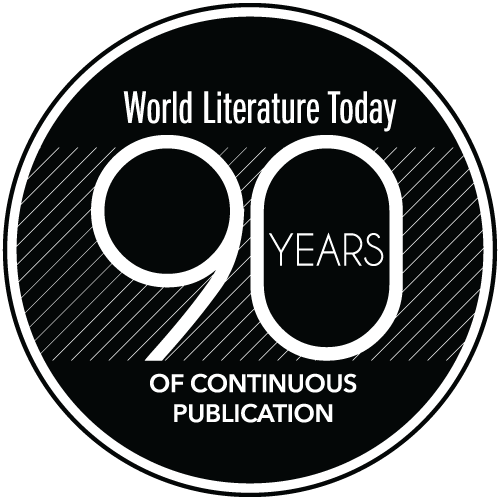 He brought on writers, scholars, and publishers to develop the idea and curate the selection of writers. All agreed the focus should be on writers no longer living who’ve stood the test of time, but the museum should also celebrate contemporary literature with readings, book signings, and programs. “I see the museum as a literary jewel box where a visitor can enjoy old friends—the books, words, characters of writers they know and also get to meet new ones,” O’Hagan says. Chicago was selected because of its central location, the support of the city, and its rich literary heritage, which includes writers like Carl Sandburg, Saul Bellow, and Gwendolyn Brooks. One of the governing principles was not to create a museum for static artifacts—though there will be some artifacts—but a place where readers, writers, and visitors can learn. “Books in glass cases don’t make for much engagement,” O’Hagan notes. A large US map greets visitors with a Nation of Writers introductory film playing on it. On one side of the map is a room dedicated to children’s literature with places to read, word games, and story times with authors. Down the corridor runs the Gallery of 100 American Voices—from early Native American storytelling to Thomas Jefferson, Sojourner Truth, Walt Whitman, Emily Dickinson, John Steinbeck, Eudora Welty, Ralph Ellison, and many others, a rich collection spanning American history. On the facing wall a Surprise Bookshelf features illuminated boxes showcasing samples of great American literature. A Word Waterfall stands at the end of the corridor where quotes by writers from Emerson to George Carlin stream down the wall. As you turn into the Readers Hall, which is also an event space, kiosks let readers explore their favorite books and compare them. At the end of Readers Hall, a changing display space launches with the return of Jack Kerouac’s scroll of On the Road after a decade out of the country. Another space features W. S. Merwin. In the nearby Writers Room a visitor can glimpse the creative process in an exhibit entitled Mind of a Writer. Two eight-foot touchscreen tables display book titles the visitor can open to view edits on manuscripts such as The Fall of the House of Usher and A Streetcar Named Desire. The display Anatomy of a Masterpiece includes quotes from writers about the creative process. A large, windowed alcove is dedicated to Chicago writers. 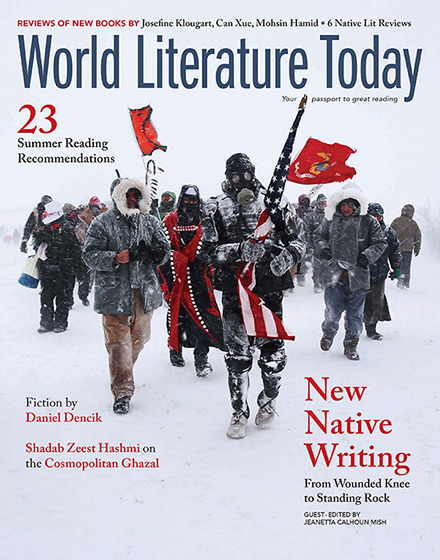 Another feature, Hometown Authors, lets a visitor enter a zip code and find writers past and present in his or her area, including local museum affiliates. The over sixty affiliates are houses and smaller museums around the country dedicated to single authors. Novelist and journalist Joanne Leedom-Ackerman is vice president of PEN International and sits on the boards of Poets & Writers, PEN Faulkner Foundation, International Center for Journalists, Words Without Borders, and the American Writers Museum.